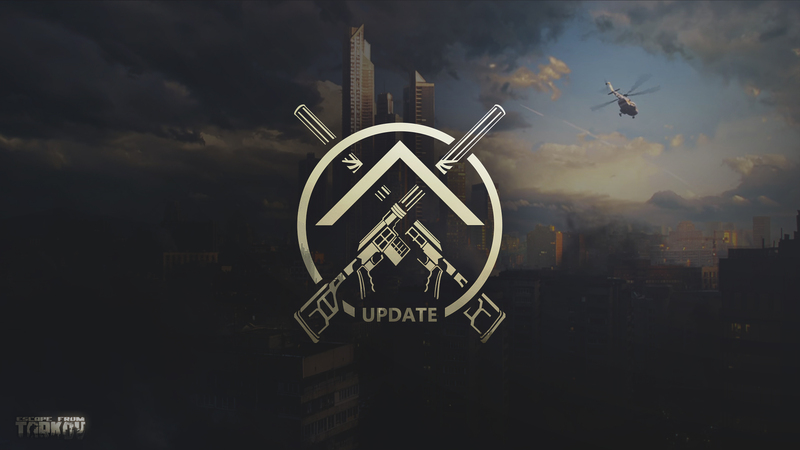 We are pleased to announce the release of a major update for our online FPS Escape from Tarkov. The game now features more than 70 new items, new weaponsб including AKM and its civilian options as well as silenced DVL-10 M1 "SABOTEUR" rifle. Players now have access to the full system of gestures and voice commands in order to improve communication in game, as well as advanced weapon handling with new weapon mechanics blind-fire and stock folding/unfolding. We also updated the functionality of grenades, armor and the character damage systems. On top of that, there were major improvements made to AI, improvements in RAM usage optimization and other significant bug fixes and adjustments of in game mechanics. We also improved and upgraded the player starting gear in each pre-order edition with new equipment, money, items and increased stash sizes. Complete list of the latest changes is available on the project Forum and official social media. The next important stage in project development will start with the Open Beta, which is scheduled for launch at the end of 2017. By that time, the game will be expanded with new game mechanics, improvements of existing ones, more optimizations of graphics and network components, as well as additional game content, including new weapons and locations. Also, in the coming months, we plan to localize the game into new languages, including German, French, Spanish, Italian, Chinese (Simplified), Polish, Czech, Portuguese, Japanese, and Korean. Learn more about the project testing plans and the estimated completion time frame, and pre-order on the official website of the project. I don't think they should continue to put features into it. They can add them later.